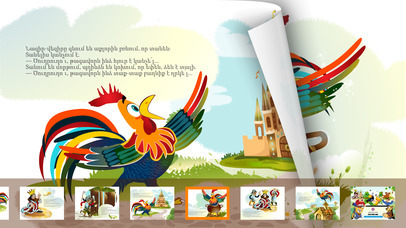 A funny, naughty and talkative rooster who by no means was possible to make to keep silent – here is the whole plot of H. Tumanyan’s fairy tale "The Invincible rooster". 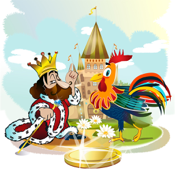 The greedy king takes from the rooster the piece of gold he found and the rooster stands high on the roof and crows loudly about what happened. 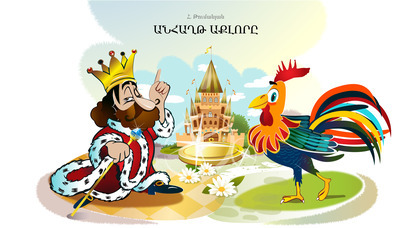 The king does the utmost of his power to keep the rooster silent but everything is in vain. 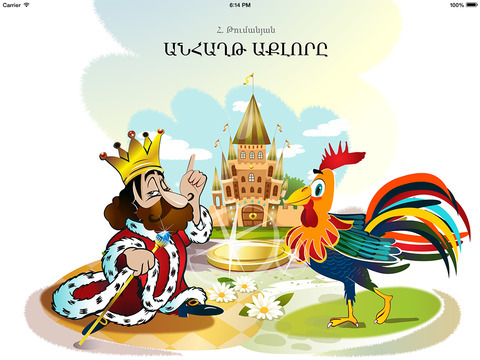 Armenian Tales has this time worked on H. Tumanyan’s fairy tale "The Invincible rooster". 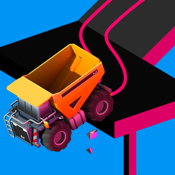 The APP turned out to be bright, illustrated and amusing. 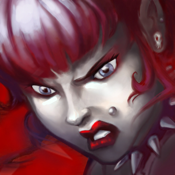 The Tale condemns greed which the king himself became the victim of as well as talkativeness and slander. 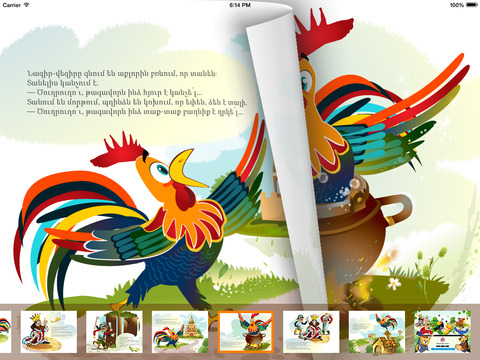 Dear children, I hope you’ll like the adventures of the naughty rooster and will at the same time learn to be veracious and generous.